The 2012 International Building Code (IBC) covers all buildings except detached one and two family dwellings and townhouses not more than 3 stories in height. This comprehensive code features time-tested safety concepts, structural, and fire and life safety provisions covering means of egress, interior finish requirements, comprehensive roof provisions, seismic engineering provisions, innovative construction technology, occupancy classifications, and the latest industry standards in material design. 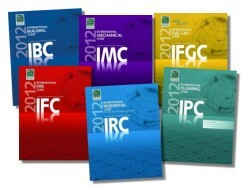 Significant Changes to the 2012 International Fire Code is a comprehensive analysis of the changes to the 2012 International Fire Code (IFC) that are significant to design professionals, code officials, and the regulated communities. 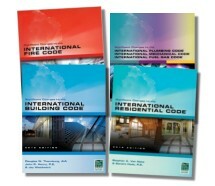 Updates to the code cover a broad range of subjects, including construction requirements for ambulatory health care occupancies, emergency responder radio coverage, fire protection system requirements for educational occupancies, fire service access elevators, building means of egress, hazardous materials such as silane and the use of hydrogen in fuel cells and vehicles, and fire protection of marinas. Each change analysis contains the affected code sections and identifies whether the text is new language, a modification of existing language, or has been deleted. Each change analysis features the affected code sections and identifies the type of change: newly added text, a modification of the existing language, or deleted text.